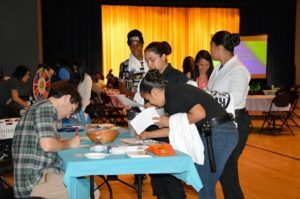 Richmond youth gathered in June for the first West County Youth Summit aimed at bringing young people together with city leaders to discuss issues and opportunities. The topics ranged from job training and scholarship programs to challenges such as homelessness and domestic violence. Read about the summit at Richmond Pulse. This entry was posted on July 25, 2016 by Editor in Print, Richmond Pulse and tagged Richmond, scholarships, West County Youth Summit.